Though the situation in today's world seems grim, and getting darker spiritually all the time; and while we are examining these matters carefully - it's easy to become discouraged, even fearful. What we must remember is that Christ has obtained already the eternal victory for those of us who are the church. No matter what may happen between now and the time when Christ comes to take us away with Him, we are victorious and have overcome the world - by our faith in Christ Jesus (1 JOHN 5:4). We are going to back-track a bit and look at the precedent of the Emergent Church. What we were led to believe is that the Emergent Church Movement came about when young evangelicals, who looking at the modern church, were entirely dissatisfied, discouraged, even angry at the lack of relevance and meeting the 'real needs' of people. When in fact, it wasn't these youth that was the foundation of this movement. Something immediately previous to the Emergent Church Movement that was its very own seedbed was something called the Christian Leadership Network (CLN) founded by Peter Drucker. The Emergent Church claims that we have left the Modern world and entered into a Post-Modern world, and as a result, the church must change its views and beliefs so that we might reach the people of this Post-Modern world. “...if we have a new world, we will need a new church. We won't need a new religion per se, but a new framework for our theology. Not a new Spirit, but a new spirituality. Not a new Christ, but a new Christian.” ~ Brian McLaren. New Age practitioners seldom refer to the movement as New Age anymore; today, it’s better known as The New Spirituality. Interesting that Brian McLaren and other Emergent leaders believe Evangelicalism and Fundamentalism have failed them and have instead chosen mystic ideas that more closely align with New Age philosophy than biblical Christianity. The Vision Project is such a New Age endeavor which McLaren has enthusiastically joined, along with avowed New Spiritualists like Barbara Marx Hubbard, Sara McKechnie (a video with a recording of McKechnie was provided in the first TTUF article; President, Lucis Trust), the late Robert Muller, and others. Leonard Sweet is another Emergent leader, who frequently speaks of “the new spirituality” in his books, and regularly endorses books written by New Age Spirituality authors like Ken Blanchard, Pierre Teilhard de Chardin, Matthew Fox and M. Scott Peck. Postmodern Emerging Church rejects propositional truths, doctrines, and certainty. 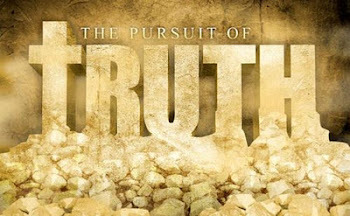 Propositional truths are truths that are stated in their simplest forms. Something is either true or false. Black or white with no gray in between. Words in the minds of Emergent folk are not absolute, nor do they carry an objective, knowable, definitive meaning. Emergent philosophers are prone towards deconstructionism, that tears away at the objective, grammatical-historical, inerrant, infallible Word of God, and morphs the truth it teaches into a malleable mutation of subjective meaning - suitable to the sensibilities of this movement that prefers questions and doubts to answers and certainty. From AMOS37, we have the following article: Emergent Deconstruction The Language of Apostasy. So these people, while claiming to be Christian (they prefer the term ‘Christ-follower’), are out to change what Christianity stands for – not the Bible as infallible and inerrant, and absolute and knowable truth, but only a book full of good moral lesson stories to guide us on how to live together in harmony and build for ourselves God’s kingdom here on Earth. Neo-evangelicals are joining them in their ranks . . . they have redefined (re-imagined*, re-invented*) Christianity as well as Christ. · Reimaging Christianity by Alan Jones, Episcopalian and Emergent Author. · Reinventing Jesus Christ – The New Gospel: An expose by Warren Smith. 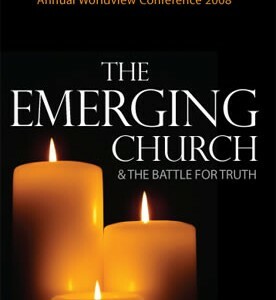 Such is the case with the New Evangelicalism Movement as aptly expounded upon by Paul Smith in his book, New Evangelicalism – The New World Order (brother of Chuck Smith, founder of Calvary Chapel ministries) who has observed the commencement of straying by Calvary Chapel among many of its primary fellowships, from the Word of God – and other churches as well. For excellent information on Drucker, The CLN and the Emergent Church Movement (ECM), I submit to you the book by Roger Oakland Faith Undone. “To understand the significance of Leadership Network’s role in the Emerging church, we need to look briefly at the structure and makeup of that organization, which began in 1984 by Bob Buford. In constructing this network, Buford consulted with Peter Drucker and eventually brought in the prominent voices of what is now the Emergent Church movement: Doug Pagitt, Brian McLaren, Chris Seay, Tony Jones, Dan Kimball, Andrew Jones and many, many others. The late mystic Martin Buber heavily influenced Drucker and as a result influenced CLN and ECM (in the form of contemplative prayer/spirituality); Roger Oakland states that “...mysticism is the very steam that drives the emerging church [and is] the real danger of the movement. Interestingly, today’s evangelical leaders often quote and refer to Buber (like Max Lucado in his book Care for the Common Life where he quotes Buber as saying “a divine spark (a Gnostic concept) lives in every being and thing.” The Way of Man, 1950). For a very comprehensive list of Emergent Leaders, and web sites that expose their false teachings, go here. Back in the 70's if you asked the average Christian what "New Age movement" meant, you'd probably get a blank stare. Yet it was in the early 80's Dave Hunt published his book The Seduction of Christianity and we learned all about these practices. A few years later there were teachings, seminars, more books, tapes and videos exposing the New Age movement for what it is. The more fundamental, conservative Bible-based churches in the 80’s and 90’s were aware of what the New Age represented, and rejected both it and all its occult practices. However, the liberal, denominational churches that took an allegorical, non-literal view of Scripture, that questioned the Deity and virgin birth of Jesus Christ, that doubted the miraculous as recorded in Scripture (everything that was attacked by those 19th Century rationalist theologians in Germany back when, that influenced the major denominations here in America), these denominations were easy prey for the seductive influences of the New Age movement. The one contending force that had been an impediment to this Satanic strategy of globalism and New Age mysticism was the evangelical, biblical churches; whereas before there were many of these that spoke out against the New Age movement and Emergent Church, now there are more and more churches that are not exposing, but endorsing these leaders and their vision for the future church! What's so alarming is that our youth are being swept up and enamored by the ECM. These young people see the church today as irrelevant, boring, outdated, taking a stand on a Book that's not meant to be taken so [literally], and they are leaving such churches in favor of these others that promote mystical experiences, meditation (of the eastern and occult sort), sacramental rituals, and focus their attention on political, social and ecological causes rather than the Singular Cause we know as the Great Commission: the gospel of the LORD Jesus Christ! May I say that several hours a day, five days a week in our public school systems have conditioned these young minds into believing that there IS no absolute truth (Robert Muller’s World Core Curriculum at work! ), that evolution is true, the Bible is not; socialism is a good thing; that we need to take care of our Mother Earth (an objective of Wicca that worships Earth as goddess Gaia) and so such a movement as the Emergent Church holds a great appeal to them. There was a coalition in 1994 called ECT or Evangelicals and Catholics Together in which they agreed not to proselytize (convert) each other, but rather, work in agreement to ‘re-Christianize’ North America – not necessarily to reach out with the Gospel of salvation, but to recall citizens into a Judeo-Christian morality and wholesome living. Christ never gave the church any such mandate! The Commission that He gave to us is to preach the Gospel of Christ, and to make disciples of Christ. “With the spread of moral rot that destroys the roots of a free and just society, we evangelicals need to close ranks with our Catholic neighbors. And with Mormons, conservative Jews, and secularists who share our values.... Attempts by evangelicals to win converts from Catholics... ‘undermine the Christian mission.’” ~ Kenneth S. Kantzer, Senior Editor of Christianity Today. Try to imagine Jesus or Paul in such an alliance! This movement however was a first step on a national level to draw evangelicals together with the Roman Catholic church. For those of you who prefer to watch this video, you can see this presentation, and this one which covers much of the same material as the article above. In addition to joining together for the social cause of promoting morality, luke-warm Evangelicals and Emergent followers are also looking back to by-gone eras of the early church, to the early days of the Roman Catholic church. They’re talking about what they call ‘vintage Christianity’, ‘Classic Christianity’ and ‘ancient-future faith’. Robert Webber, Richard Foster, Dallas Willard, Brennan Manning are all talking about re-introducing the church to these practices of ‘vintage Christianity’ which is nothing more than Roman Catholic tradition and rituals. "Currently, Western society is in a transition from the modern world to a postmodern world... shifting us toward the affirmation of new values...resulting in a whole new culture and rais[ing] new questions about the way a biblical Christianity is to be understood and communicated." Affirmation of new values as a result of shifting into a postmodern world? Postmodernism is a euphemism for apostasy and a denigration of the whole counsel of God as represented by the Scriptures. Postmodernism questions (". . . raising new questions . . ."??) the validity of scripture and scriptural accounts as 'myths' and 'shared stories' rather than accounts of the truth, and of doctrinal truth! Listen church, we DON'T NEED NEW VALUES - - WE NEED (AND HAVE ALREADY) GOD's VALUES documented in GOD's WORD!! 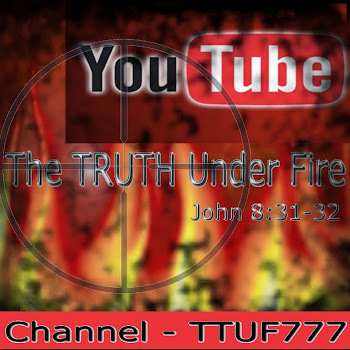 They are TRUE, they are ALL THAT IS NEEDFUL FOR THE DISCIPLE OF JESUS CHRIST! PERIOD! AMEN! "My argument is that the era of the early church (A.D. 100-500), and particularly the second century, contains insights which evangelicals need to recover." Nearly a decade earlier than Common Roots, a number of Campus Crusade for Christ leaders went on their own "recovery" of ancient liturgies, specifically from Eastern Orthodoxy. Peter Gillquist, Jack Sparks, Jon Braun, and others left Campus Crusade to form what was a forerunner of today's ancient-future-emergent movement. For some comprehensive charts that compares Biblical Truth and the early church, doctrinal practices vs. Emergent deceptions and Roman church, dogmas and mystical, subject experiential religion, visit Rapture Ready's article here. They turned to the writings of the early Church Fathers “to practice a more liturgical form of worship…” to include things like candles, incense, statues, stations of the cross, liturgical prayers, the celebration of Ash Wednesday – sounds very Roman Catholic, doesn’t it? The ECM is working covertly to bring the church in America in alignment with dogmas, practices and beliefs that mirror the Roman Catholic church. It’s the, as yet unproven, suspicion of this writer that the agents of the ECM are working in conjunction with, even perhaps in compliance to the orders of the Roman Church, via the Order of the Jesuits, that body of priests whose mission is to bring wayward Catholics, Protestants and unbelievers back into Roman Catholicism! Historically speaking they did so by violence and torture if necessary! St. Ignatius of Loyola, founder of the Jesuits in 1540 AD, developed the Spiritual Disciplines which involved the same meditative practices that were created by the Desert Fathers of the Catholic church. And who are the Desert Fathers? They were monks, mostly Benedictine, who sought for a powerful meditation technique to fill a spiritual vacuum in the church that had only icons and candles, which ultimately by themselves could not satisfy. So they studied Zen Buddhism and Hinduism and the many techniques they employed in meditation and selected from these, the least dangerous of them all. They added their own Catholic flavoring to this concoction and contemplative prayer was born. So what then is contemplative prayer and spirituality? What is the international movement, Spiritual Formation that has introduced this mystical practice to the world? Contemplative Prayer (is neither contemplative [thoughtful] nor is it prayer [there is no meaningful communication through words to God]); it’s also called Centering Prayer or Listening Prayer. It is an Eastern religious meditation technique borrowed by the Desert Fathers of the Catholic church. The idea of meditation is found both in Christian and Eastern religions, but there is a fundamental difference between the two: In Eastern meditation, the participant empties their minds, typically by focusing on something to ‘blank out’ the mind of distractive thoughts such as a mantra (a Sanskrit word of a Hindu deity, chanted over and over again) or gazing into a symbol, a candle flame, a mirror, etc. Once the mind is effectively ‘blanked out’ one is then receptive to whatever influence may impress itself upon the participant, such as various gods, spirits, angels, etc. Christian meditation refers to filling the mind and thinking deeply on the Word of God! Francis of Assisi, Catherine of Siena, Theresa of Avila, John of the Cross, and Bernard of Clair Vaux – all Roman Catholic mystics; it’s been taught by Roman Catholic monks Thomas Merton, Thomas Keating, Henri Nouwen, Ruth Haley Barton, and Basil Pennington; it was [put] into a simple method of prayer in the 1970's by three Trappist monks, Fr. William Meninger, Fr. Basil Pennington and Abbot Thomas Keating at the Trappist Abbey, St. Joseph's Abbey in Spencer, Massachusetts. It has also taught to evangelicals by Richard Foster; his book Celebration of Discipline was selected by Christianity Today as one of the top 20 books of the 20th century – founder of the Renovare Institute (essentially promotes all things New Age); and by Dallas Willard to Southern Baptist churches. Some popular Christian pastors and authors have, to one degree or another, endorsed contemplative prayer – such as Chuck Swindoll, David Jeremiah, Max Lucado, Charles Stanley, and more besides. It is a belief system and mystical prayer practice that leads one into an altered states of consciousness: the "silence" through the repetition of a sacred word [Hindu equivalent ‘Om’], over and over* until the mind is empty, clear of any thought and left open to receive any spiritual experience that may come along. It’s often wrapped in Christian terminology. But when ye pray, use not vain [empty] repetitions, as the heathen do: for they think that they shall be heard for their much speaking. The premise of contemplative spirituality is pantheistic (God is all) and panentheistic (God is in all). In this altered state of consciousness, the meditator finds one's true self, thus finding God. This true self relates to the belief that man is basically good. Proponents of contemplative prayer teach that all human beings have a divine center and that all, including born again believers, should practice contemplative prayer. This sort of thinking is Gnostic in its more mystical aspects; certain sects of Gnosticism believed in such a 'divine spark' that dwells in all humans, and that the search for truth need go no further than one's own heart; that such a heart is certainly not inherently sinful, but good - in actuality this practice leads away from God and invites demonic influence. “This understanding of the unity of the human family is central to Christianity. Our spiritual journey, especially contemplative prayer, together with its practices for daily life, are processes of becoming aware of just how profound that unity is with God, ourselves, other people, other living beings, the earth, and all creation." Merton has made plenty of converts himself, among them, one Sue Monk Kidd, a one-time Southern Baptist Christian and Sunday School teacher who was handed a book written by Thomas Merton by a fellow Sunday School teacher. Today Monk Kidd is a prolific New Age writer who embraces the virtues and ideologies of Wicca, and the Mother Goddess (Mother Sophia) belief; she has written many books, among them - God's Joyful Surprise (her first book, actually written from a Christian perspective, but endorses Contemplative Prayer nonetheless) promoted by Virtue, Today's Christian Woman and Moody Monthly. Monk Kidd states: "We also need Goddess consciousness to reveal earth's holiness...Matter becomes inspirited; it breathes divinity. Earth becomes alive and sacred...Goddess offers us the holiness of everything." The pantheism of a 'mother-goddess' worship was ably demonstrated in the extremely popular film, AVATAR - see a biblical critique of this James Cameron film here. "He was holding up a Bible...saying that the Bible was the sole and ultimate authority of the Christian's life. The sole and ultimate authority. I remember a feeling rising up from a place about two inches below my navel. "It was the purest inner knowing I had experienced, and it was shouting in me no, no, no! The ultimate authority in my life is not the Bible; it is not confined between the covers of a book. It is not something written by men and frozen in time. It is not from a source outside of myself. My ultimate authority is the divine voice in my own soul! Period." 'The soul of the human family is the Holy Spirit.' Basil Pennington. 'I saw that God is in all things.' Julian Norwich. 'My beloved [God] is the high mountains and the lovely valley forests, unexplored islands, rushing rivers.' John of the Cross. 'Here [the contemplative state] everything is God. God is everywhere and in all things.' Madam Guyon." “From India (guru's and swamis) to Alexandria (the Gnostics), to the desert fathers (John of the Cross, St. Teresa of Avila, etc), to Thomas Merton...” to Richard Foster, Dallas Willard and more recently through many other contemporary leaders in Evangelical Christianity, and the Emergent Church movement, to you and I. Contemplative Prayer will be the global glue that bonds a One World Religion together! Instead of opposing Christianity, the occult (the New Spirituality) would capture and blend itself with Christianity and then use it as its primary vehicle for spreading and instilling New Age ‘Christ’ consciousness! The various churches would still have their outer trappings of Christianity and still use much of the same lingo... on the inside [however] a contemplative spirituality would be drawing in those open to it." GOD’S CALL TO THE SHEPHERDS of HIS FLOCK.